Kim Longinotto, recipient of this year's BBC Grierson Trustees' Award, will be honored by DOC NYC with the Robert and Anne Drew Award for Documentary Excellence at the Visionaries Tribute on November 12. Last year's recipient was Laura Poitras who went on to win the Oscar for Citizenfour. Longinotto has made acclaimed documentaries that have won awards from BAFTA, the Sundance Film Festival, Cannes Film Festival and IDFA among others. "Kim has trained her lens with a graceful touch on some of the most heartbreaking stories of women around the globe," said Jill Drew, the general manager of Drew Associates, who helped select the award winner. Her most recent film, DREAMCATCHER, which is selected for DOC NYC's 2015 Short List Program, screens at 7pm, Friday November 13th, with Longinotto in attendance. 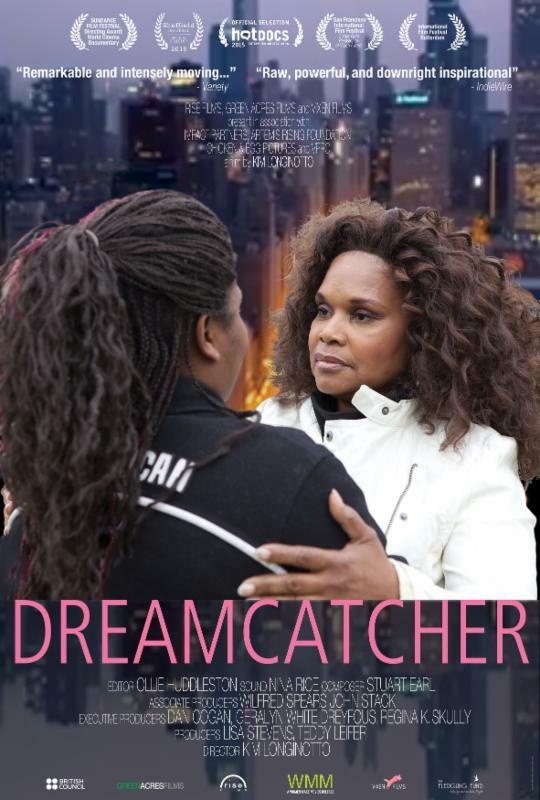 DREAMCATCHER has garnered massive amount of attention after winning the 2015 Sundance Film Festival Directing Award for World Cinema Documentary, and critics have anticipated the film to make the cut for 2016's Academy Award for Best Documentary. In addition, DOC NYC is presenting a special 10th Anniversary screening of Longinotto's award-winning film SISTERS IN LAW (2005). Longinotto will be making a rare NYC appearance at both screenings, as well as participate on the DOC NYC Short List Director's Panel on Friday morning. In honor of the awards she has won this year, SundanceNow Doc Club is currently showing a retrospective of eight of Longinotto's films. The selection includes the critically acclaimed films PINK SARIS (2010), ROUGH AUNTIES (2008) and DIVORCE IRANIAN STYLE (1998). To learn more about the retrospective, click here. WMM is proud to distribute more than 15 of Longinotto's award winning films, including DREAMCATCHER, click here to learn more. We are proud to announce that we have nine films from WMM programs at DOC NYC this year, including two 2015 New Releases having their NYC premieres: LOVE BETWEEN THE COVERS by Laurie Kahn, a revealing film that explores the vast community of women that has formed around the billion dollar romance industry - and WILEHMINA'S WAR by June Cross, about 62-year-old Wilhemina Dixon who works tirelessly to combat the stigma and care for her daughter and granddaughter, both HIV+. WMM Distribution filmmaker Catherine Murphy (MAESTRA) will be speaking on a panel at the DOC NYC PRO Archive & Preservation Day on November 17th, click here for details. WMM has six films screening at International Documentary Film Festival - Amsterdam: 2015 New Release SONITA by Rokhsareh Ghaem Maghami will be screening in competition for feature length documentary. SONITA, the new film by Rokhsareh Ghaem Maghami, is a stunning portrait of 18 year old Afghan rapper, Sonita, who goes against her family's wishes to sell her for her bride price of $9,000. Other films screening from WMM's PA Program include DRIVING WITH SELVI by Elisa Paloschi, AMONG THE BELIEVERS by Hemal Trivedi, MOTLEY'S LAW by Nicole H. Horanyi, MY ENEMY, MY BROTHER by Ann Shin and QUIPU PROJECT by Rosemarie Lerner and Maria Ignacia Court. GIFT by Robin McKenna was selected for the IDFA Forum. Executive Director Debra Zimmerman, and Barbara Ghammashi, Production Assistance Program Manager, will be attending the IDFA Forum. Zimmerman will be co-hosting with Ally Derks, the Director of IDFA, a meeting of women in documentary as a follow up to last year's program: THE FEMALE GAZE, and she will also be meeting with young industry professionals as part of the IDFA Academy. Kristen Fitzpatrick, Director of Public Exhibitions and Acquisitions, will be taking meetings at Docs For Sale. Congratulations to director Leslee Udwin and her team on a successful theatrical run in NYC & LA! Attendees included Meryl Streep, Gloria Steinem, Susan Sarandon, Rosie O'Donnell and Sean Penn. Streep has been campaigning for INDIA'S DAUGHTER to win an Oscar. Udwin's award winning documentary, INDIA'S DAUGHTER, premieres on Independent Lens Monday, November 16 at 10pm EST. Check here for local listings. We have exciting opportunities to learn about broadcast and funding coming up this month! Click here for more information on both events and to RSVP. On Wednesday, Nov. 11th we have a Meet the Broadcaster event with the Discovery Channel. With 100.8 million subscribers in the U.S. alone, Discovery Channel is a valuable destination for viewers searching for programming spanning science and technology, exploration, adventure, and the environment. The recent appointment of John Hoffman as EVP of Documentaries and Specials at Discovery Channel, Animal Planet and Science, following his distinguished past at The Public Good Projects and HBO, signals a renewed commitment by Discovery Communications to place the highest value on documentary films. WMM is delighted to welcome two of the documentary team's decision makers, John Hoffman and Alexandra Moss, Director of Development and Production, Documentaries and Specials, for a candid and wide-ranging conversation about Discovery from the inside, what they are looking for and how best to get on their radar screen. We hope you'll also join us for a Proposal Writing Webinar on Wednesday Nov. 18th. In this webinar, Tracie Holder, filmmaker and fundraising consultant, will help you understand what makes a film funding proposal a standout, grab the attention of potential funders and gives you the best shot at funding. Women Make Movies is happy to announce that we will be accepting applications for the Production Assistance Program on a rolling basis going forward. We will no longer have submission deadlines three times a year, instead evaluating applications throughout the year and determining the timeline for a decision on a case by case basis. This new system will allow us to be more flexible in meeting the needs of filmmakers, whether they're already in the program or hope to apply. You can find more information here about applying to the Production Assistance Program. Women Make Movies is seeking a is seeking an energetic, dedicated and highly motivated full-time Marketing and Outreach Manager to promote and publicize the organization, our programs, and our collection of films to our customers, potential customers, filmmakers and the media. For more details and to apply, click here. This is an exciting opportunity to learn about independent and documentary film distribution at Women Make Movies!! We have internships available in Marketing, Filmmaker Services, Workshop Series, Distribution & Administration. 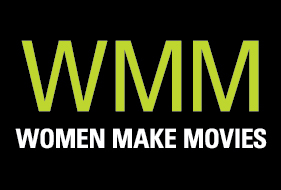 WMM Interns receive: Local travel reimbursement, free workshop attendance, free access to screen titles from the Women Make Movies collection and College/University course credit. For an application and more information, please visit our website.